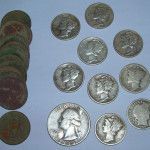 Metal detecting is a fun hobby enjoyed by people of all ages. 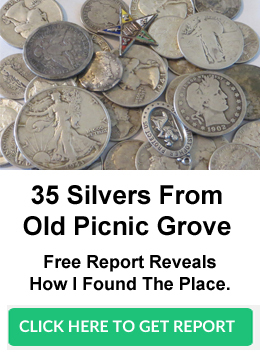 Valuable items like old silver coins, gold jewelry rings, and relics have been lost throughout the years and there are literally millions of items just beneath the earth’s surface. Discovering these forgotten objects is exciting and a great way to enjoy time outdoors with family and friends. The picture to the right is just a sample of the thousands of interesting items I’ve found. 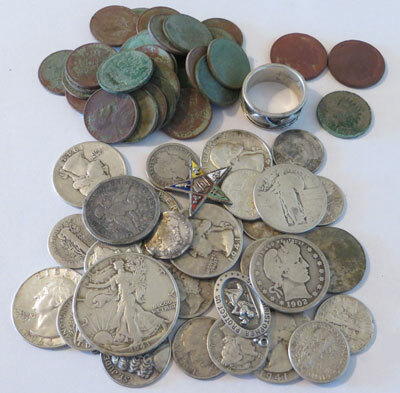 All you need is a detector and digging tool to be on your way to finding lots of old coins and other neat finds.